In order to cater the diversified demands of our clients, we have been able to provide a unique range of Bloom Caster. Estd. 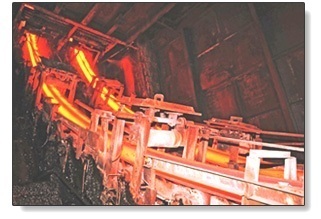 2006 and located at Kolkata, (West Bengal, India), we “Eastern Metec Private Limited”, are a Private Limited Company and the leading Manufacturer, Exporter, Importer and Supplier of optimum quality Electric Arc Furnace, Ladle Refining Furnace, Vacuum Degasser, Continuous Casting Machine, Fume Extraction System For Steel Plant, Electric Substation, etc. Under the management of “Pradeep Majumder (MD)”, we have been able to meet the requisite demands of our clients within provided time-frame. Our team of experts imparts optimum quality Steel Plant Turnkey Solutions Services to the customers. We are exporting our products all over the world.